Find and Book from over 1500 Hotels & Resorts in Goa. Come, seek & discover the charming Goa along with us. 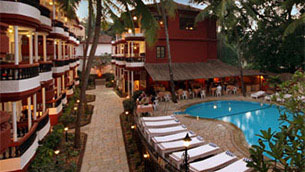 Goahotels.com is an ideal destination where you will get information about the tiniest and richest state of India, Goa. The state is best known for its never ending zeal that attracts horde of globetrotters from neighboring states as well as from all over the world. No doubt, Goa is cynosure of the country. The state nourishes your heart and mind with its amazing energy. 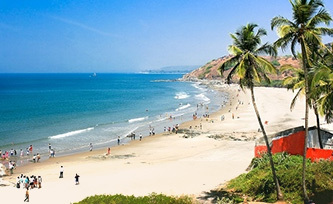 Goa is located at the bay of Arabian Ocean; ergo the state is blessed with picturesque and peaceful beaches. Sinquerim beach, Candolim beach, Calangute, Baga, Anjuna, Arambol, etc. are some of the pacific beaches that one can have endless fun. As the state is situated on western coast of India, it is also blessed with eyeful nature. The state has enormous Sanctuaries and National park with rich flora and fauna. The awful sightseeing spots include Tiracol fort, Chapora Fort, Olive Ridley Turtles, Shantadurga temples and the list goes on. Each and every corner of the state is imbued with beautiful tourist spots. There are endless reasons why Goa is the most popular state among foreign globetrotters. The residents of the state are like birds of a feather flock together. The kind hearted residents live blissful & allayed with no cultural or religious bias. The state has maximum Christians and Hindu population. Language spoken in Goa includes Goan, English, Konkani, Portuguese, Marathi and Hindi. The state is not just about beaches; it has more to offer for their visitors. The party capital, as popularly known, is also famed for its night life, cuisine, culture, festivals, carnivals, forts, churches, temples etc. The state also offers endless opportunities for intrepid geeks. 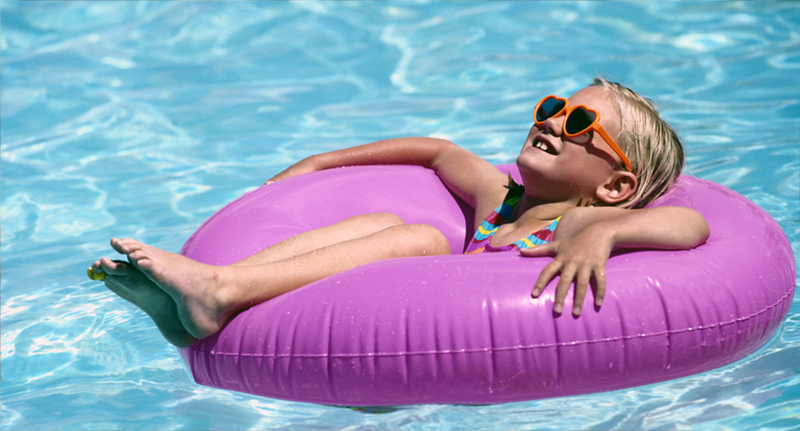 One can indulge themselves in adventure activities like water skiing, jet skiing, scuba diving, speedboat rides, carting, wind surfing and many more. Goa is also popularly tagged as "The Rome of the East" and "Pearl of the Orient". Goan people revels each and every festival that country celebrates. The carnivals are celebrated with great enthuse. Shopping can never be at back burner when one is in Goa. Cashew nuts, jute craft, coconut mask carvings, woodwork, pottery items, seashell crafts, sarongs, silver jewelry and many more are some delights one can purchase when in Goa. Music completes the culture of Goa. People are born and brought up with music all around. Goa has gargantuan reasons to be the ultimate ideal destination for every globe hopper. One can easily breathe life and feel themselves when accommodating in this awesome place. Visiting this awesome place won't let you down ever. It's an ideal destination for honeymoon couples, adventure freaks, family, friends, etc. 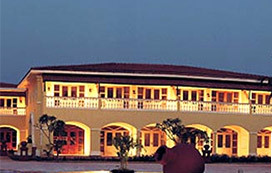 Hotels in Goa promises pleasant stay experience to their visitors. The Goan residents live resplendent, halcyon, canty and unflagging life. 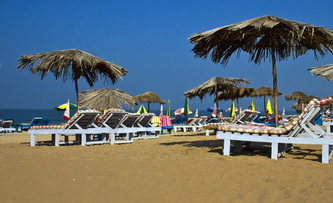 Plan your visit to Goa now with Goahotels.com!